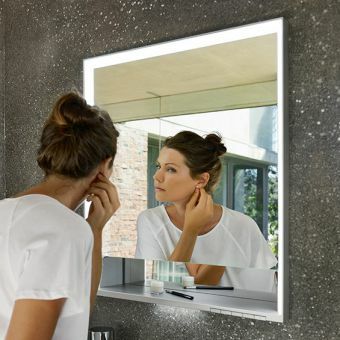 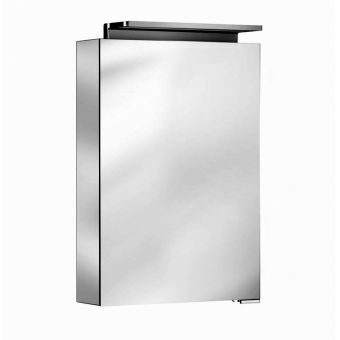 Developed by expert designers Keuco, the Royal L1 series of mirror cabinets combines storage, reflective surface and illumination in one sleek outfit. 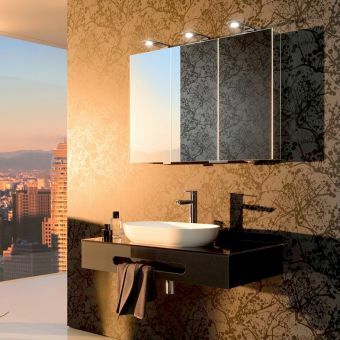 Bold geometry and a practical design approach fuse together to create items that are built to last for years to come. 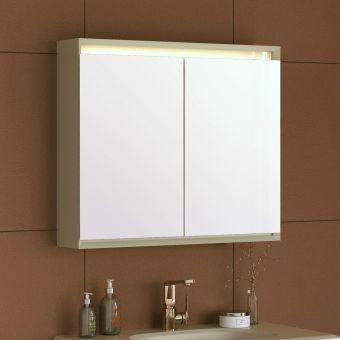 Integrated into the unit is an overhead lighting element. 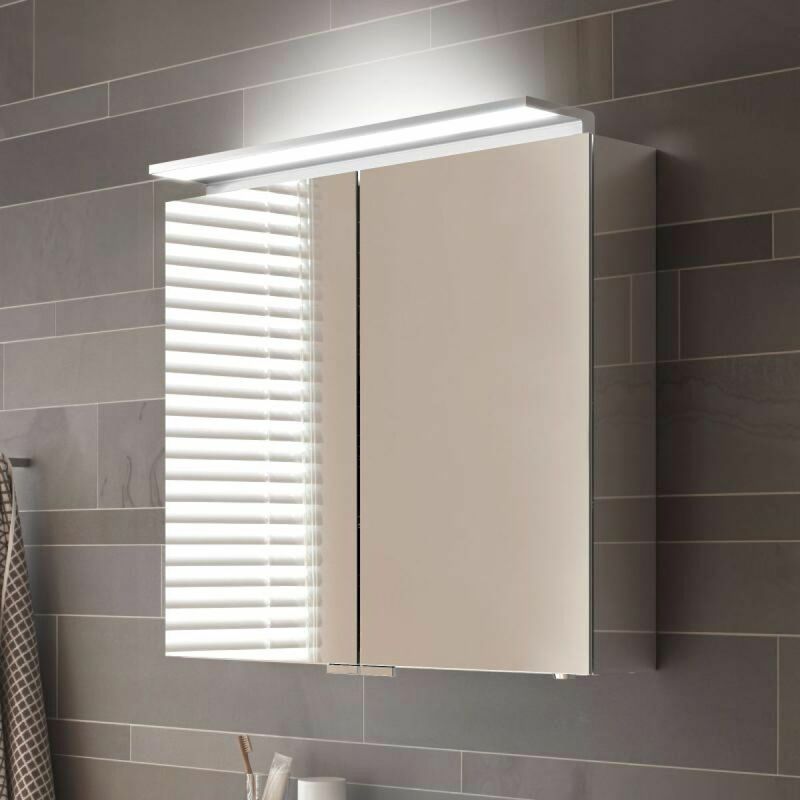 Using LED lighting components, this low-energy, low-cost solution gives you not just a wash of light where you need it but does it with minimal impact on the environment or your energy bills. 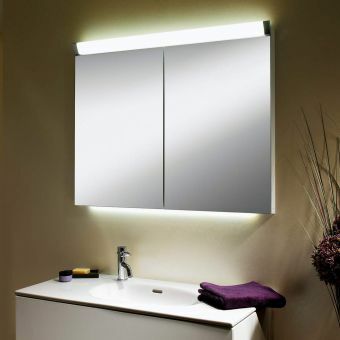 Also included are two internal power sockets for electric razors and toothbrushes. Storage is managed by way of 3 height adjustable glass shelves per side, with options for two pull-out interior drawers, so you can keep all your vital bathroom accessories neatly out of sight but readily accessible. 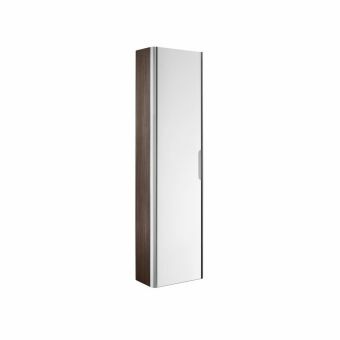 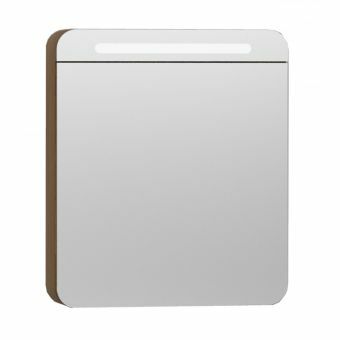 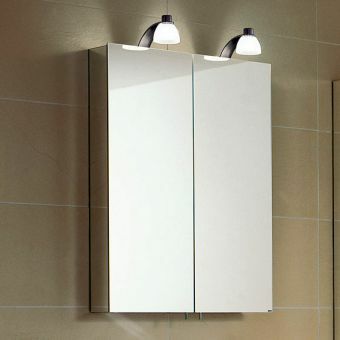 Available in two sizes of either 650 or 800mm widths, the Royal L1 Mirror Cabinet Double Door is ideally suited to the main bathroom or larger en-suite. 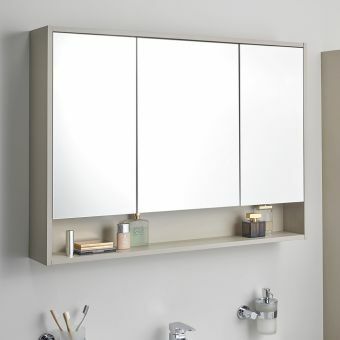 Equally suited for life within the domestic or commercial setting, the stylish pairing of metal and glass give this cabinet a strong, modern identity.